Figure 13 Value of 2D multiplanar reconstruction images in lung nodule detection. (A) Coronal reconstruction maximal intensity projection image shows two small lung nodules in left lower lobe (curved open arrows). Note excellent visibility of peripheral vessels (arrowhead) and lack of significant artifact except for pulsation artifacts adjacent to left heart border. 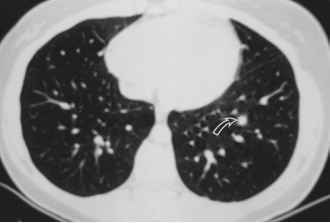 (B) Axial image from original CT dataset shows the larger of the two left lower lobe lung nodules (curved open arrow). This nodule was initially overlooked on the axial image but was readily detected on the reconstructed images. spectively choosing appropriately thin collimation images from the original dataset (Fig. 14). In contrast, with single-detector CT, high-quality reconstructions require prospective use of thin collimation or additional imaging acquisitions with thin collimation images. The latter results in increased scan time and additional radiation exposure. Figure 14 Sagittal reconstruction images of the right lung in an emphysema patient with marked dyspnea. Scanning was performed in two separate acquisitions (A and B) due to patient's very limited breath-hold ability. The use of 1.25-mm collimation (a nearly isotropic volumetric scan) results in multiplanar reconstruction images with comparable spatial resolution to the original axial images (not shown). Note the presence of diffuse centrilobular emphysema and focal apical scarring posteriorly. 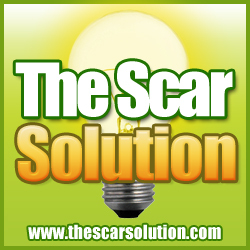 At present, the range of benefits of this feature are just beginning to be explored. 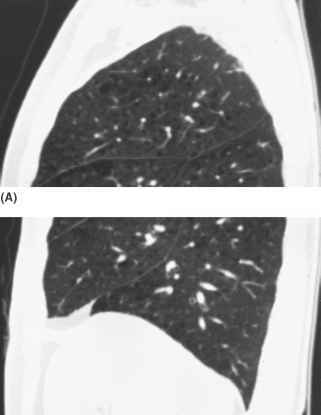 For example, preliminary data suggest a role in the assessment of patients with suspected diffuse lung disease, who are traditionally imaged exclusively with noncontiguous high-resolution CT images. For example, Mastora et al. recently employed simultaneous reconstruction of contiguous 5-mm and noncontiguous 1-mm (high-resolution) images in the assessment of 86 patients undergoing MHCT evaluation for diffuse lung disease. These authors found that the contiguous 5-mm-thick sections provided additional diagnostic information in 13% of cases, most often by detecting lung nodules that were not evident on the high-resolution CT study.